Looking for deeper insight on markets? In tonight’s Closer sent to Bespoke Institutional clients, as we are about halfway through earnings season, we take a look at what has impacted the reaction to earnings reports the most as “beating earnings, miss revenue” (BEMR) and EPS beats with raised guidance (BERG) have become more common. We move on to review the Fed’s senior loan office survey data which showed discouraging declines across loan types. 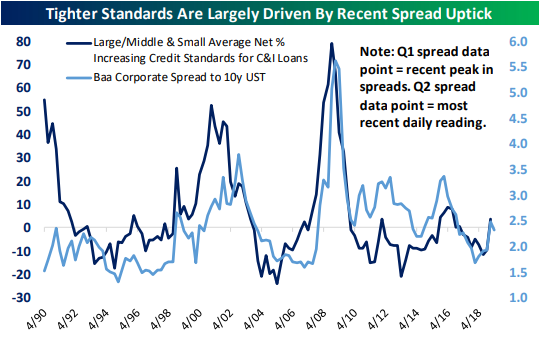 We delve deep into a variety of credit demand and credit standards before finishing with a recap of today’s ISM service data.